Ghostwriting is a major part of the publishing industry – with a great idea for a book but no time (or, regrettably, enough expertise) to write it, partnering with a ghostwriter is a convenient choice for many. Yet, due to the specification of the job and the collaboration with celebrities and famous authors, the work of ‘ghosts’ is often concealed and mystified. To bring some light to the profession of ghostwriting we have chatted to Teena Lyons – an author of The Complete Guide to Ghostwriting and a co-writer of many books, including Common Sense Rules by BBC Dragons’ Den Deborah Meaden, Tough Calls and On Leadership by Allan Leighton and Sold Out by a businessman Bill Grimsey. What is your background? What led you to start ghostwriting? I started as a journalist and I still introduce myself as one. I worked first in local news then moved to national publications – The Mail on Sunday, the Sunday Times, Sunday Telegraph, Guardian and others. My ghostwriting career started unexpectedly, as it usually does – I was invited to a meeting with the Allan Leighton – the former CEO of Asda and Selfridges and the current chief executive of The Co-operative Group. We knew each other from my work in business journalism, so it was nothing unusual. However, Allan told me that Random House has asked him to write a book and he was wondering if I would be interested in helping him. I have only written 600-800 word stories before, but I thought – 80,000 words, how hard could it be? This is how On Leadership came about and it went on to become a bestseller. Has journalism helped you in your ghostwriting then? Oh, definitely. It makes sense for a journalist to work as a ghostwriter. We are trained to get the stories out of people, to listen and to keep asking the right questions and that is what a ghost writer does too. From my experience, journalists and actors makes quite good ghosts – it’s all the part of putting yourself in someone else’s head and trying to ‘crack them’, trying to understand them. 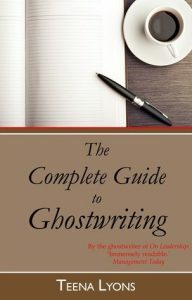 What are the different types of ghost-writing that you do? Depending on the project I can be doing all sorts of things – writing the full story with the writer or editing a ready manuscript, improving it’s ‘flow’ or making it sound more articulate and sharp. I can be creating a structure for someone’s story or making structure edits. There’s much more to ghost writing than the traditionally-imagined transcription of someone’s story. What types of books or genres are you most often approached to write? I have worked as a business reporter so it makes sense that most people approach me with business book ideas. But I am interested in all types of stories. Couple of years ago I wrote a story with a lap-dancer – I agreed to this project because it was something different than I’m used to and I wanted to see if I could do it. I’ve also written biographies and how-to books on management and leadership. I know that most of the ghostwriters specialise in specific genres or have no-go areas. For example, I don’t do misery stories and true crime. Truly, ghost-writing is a commitment so the subject really needs to interest me before I take it up. How would you describe your ‘dream’ author? To me there is no such thing as a ‘dream author’. Every new story is the best thing I have ever done. The authors and their stories differ from one another so much and that is what makes it all exciting. The most important thing for me is to get along with my writers because, essentially, we are working for the same goal – to make their books work out. How much creative freedom do you get when ghostwriting? I get quite a lot of creative freedom because I need to make sure the books are written in the way readers would expect them to be written while keeping the original voice of the author. Also, sometimes authors don’t realise the importance of some parts or aspects of their story. I have to stop them and be like: “wait, what – tell me that bit again. I need to make sure we include those bits and make it all flow by building the picture and adding colour. That is not to say that being creative I just make stuff up for the story, rather I make sure the right things in the book are brought out to ‘hook’ the reader. Readers often question if ghost-writing is disingenuous or if it’s ethical – that it’s not fair that ghostwriters do not get credit for their work. What are your opinions? I do not mind not being credited for my work at all – it’s my job, it’s what I do, so I don’t take it personally. However, it is lovely that some readers care so much about it. Most of the authors would thank their ghosts in Acknowledgements, anyway, which I am fine with. As for some people saying that ghostwriting it’s not fair for the readers – I don’t agree that’s the case. On the contrary, readers get the best deal out of it all – a honest story that they want to read written in a professional, quality way. That’s a difficult question as most ghostwriters tend to be coy. Great interviewing skills are essential – that’s why journalism training is very useful. You need to be empathetic while asking the right questions. The ability of listening, drawing out the right information and then making it all flow in the book is very important too. What do you love about ghostwriting? Is there something you don’t enjoy so much? I absolutely adore my job. I work on each project for around six months so I get to know my writers and their stories pretty well. I get to talk to and admire all these amazing people I work with and get fascinated by what they have to say. I think it’s a privilege to do what I do – to get this freedom to ask questions, any questions I want and sometimes be mischievous about it. I truly think it’s the best job in the world. Ghostwriting consists of closely collaborating with people. How do you judge if you’ll be able to work with someone this close? 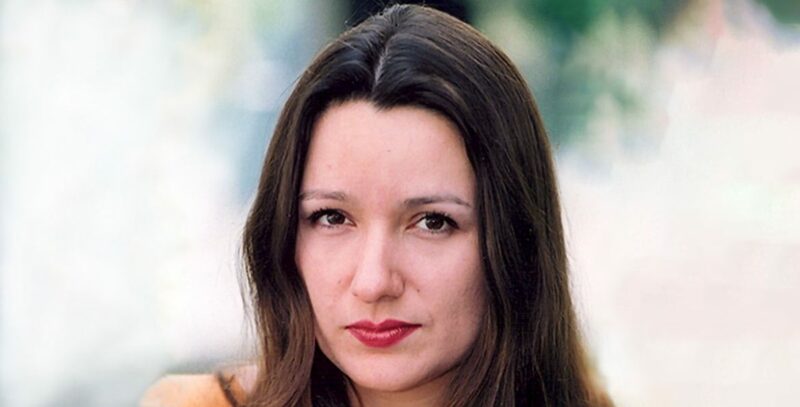 It’s all instinct – I do a telephone interview with writers first to chat about their ideas. Then my aim is to meet them face to face – it makes the job-in-hand much easier if there’s a chemistry and understanding between you and the writer and it’s important you get along. The research into the subject is also crucial to make sure that what the author is talking about is accurate and they are not making stuff up or exaggerating because they are afraid that the raw story isn’t as interesting. You can mostly feel it in your gut if there’s going to be any problems or issues and you either try to work through them or avoid those projects. You’ve written a book yourself – The Complete Guide to Ghostwriting. Why did you decide to write it? I think people write these kinds of how-to books to show that they are the experts in a particular area – and I think I have enough experience in ghostwriting to be able to put my money where my mouth is. Was the feeling of publishing your own work any different from seeing your ghost-written work being published? Completely! I felt so vulnerable and exposed. Previously, I got to be so many different people but now it was just me and what I have to say so it felt odd. The book exposes me as me, every chapter was me. It was very difficult to write, much more difficult than ghosting a story. But I told myself to pull myself together and I did it. How does one get a job as a ghost-writer? What skills are needed? There are no hard-fast routes to ghost writing and it often happens accidentally. Like in every profession, you need to get a track record of good work. Experience in writing is necessary so, understandably, journalism is a good place to start and most of the ghosts I know are related to journalism. If you don’t have much writing or editing experience, I would suggest offering your services for free or very cheaply until you build up enough experience – keep talking to people and try finding ones with great stories to tell. What are your future plans? Any exciting ghost-writing projects? I have ghostwriting projects lined-up till the end of this year and it’s a wide range of work too which is always exciting. All of my future projects are different in their topics and in the levels of my involvement. I make it as exciting for myself as I can as the projects I take up are entirely my choice. Enjoyed our interview with Teena Lyons? We have also chatted with a book illustrator Rui Ricardo.